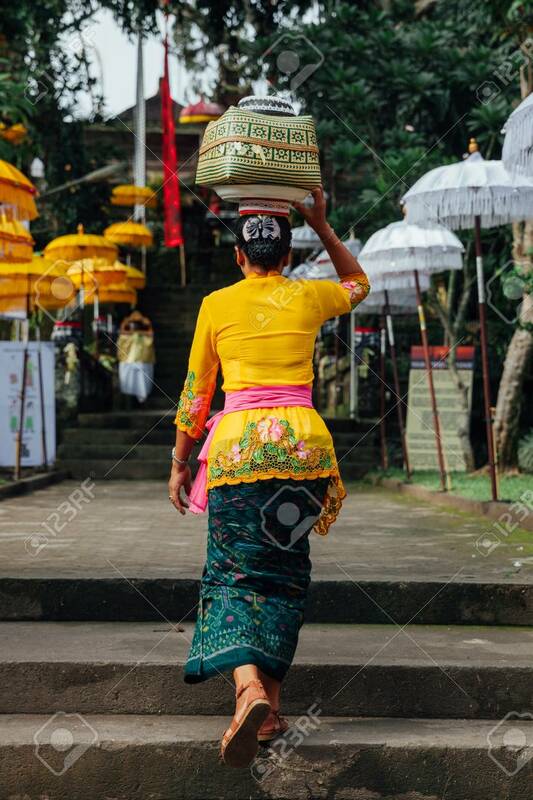 Balinese Woman In Traditional Clothes Carrying Ceremonial Box.. Stock Photo, Picture And Royalty Free Image. Image 58639999. Stock Photo - Balinese woman in traditional clothes carrying ceremonial box with offerings on her head during Balinese New Year or Nyepi Day celebrations in Ubud, Bali. Balinese woman in traditional clothes carrying ceremonial box with offerings on her head during Balinese New Year or Nyepi Day celebrations in Ubud, Bali.